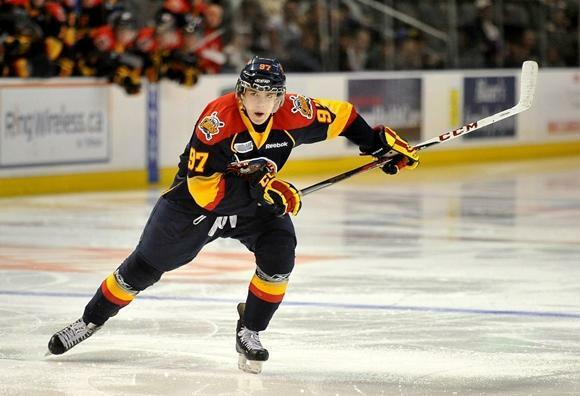 The Erie Otters will play their first home game of the 2014-15 season Saturday, Oct. 4 and the folks at Epic can help you celebrate the occasion. It's been nearly six months since the Erie Otters had a meaningful game in Erie Insurance Arena, but the wait is nearly over for local hockey fans. The Flagship City's resident major junior hockey squad will be back in Northwest Pennsylvania for its home opener Saturday, Oct. 4 against the Sarnia Sting, looking to follow up a record-breaking 2013-14 campaign that had the Otters making it all the way to the Ontario Hockey League's Western Conference Finals before falling to the Guelph Storm. Well, the team is back and looking to improve on last year's success, with studs like Connor McDavid back in the fold. The team is already 3-0 so far in the season, but now it's Erie's chance to welcome the future of proessional hockey return home, and Epic Web Studios is happy to help Otters fans celebrate the occasion. The local website design and social media firm is hosting its annual Otters Home Opener Party, and the folks at Epic are inviting fans to join them outside of their office located at 901 French St. - conveniently close to the Arena, mind you - to get the home season started on the right foot (or skate). The festivities begin at 4 p.m. and run up until the beginning of the Otters game, because it makes sense that you would, you know, support the team you're celebrating at the tailgate party. The puck drops at 7 p.m., so that gives you three solid hours to party it up with fellow hockey fans and treat yourself to some free beer and soda. What's more, local bass master and composer Stephen Trohoske will be performing, because good music is always an appropriate thing to have at a party. So, what you have here is a free event that will help welcome back a seriously talented Otters team with major NHL prospects, all while allowing you to enjoy some beverages, music, and overall fun. The people at Epic are pretty swell (I should know, I used to work there), so take them up on their offer and get yourself ready for a new hockey season at the Otters Home Opener Party.